Debbie specialises in Raku and smoke fired ceramics and works from her home studio in rural Leicestershire. Debbie's art and design training was in textile decoration and embroidery. After 10 years she changed course and returned to college to train as a potter having a lifelong interest in ceramics. Debbie retains her influences from her textile background, the pattern and colour in her ceramics are inspired from the natural world – trees, plants and the birds in Debbie's garden and the surrounding countryside. Debbie was drawn to Naked Raku as a firing technique and enjoys the hands on and the dynamic process of Raku firing. 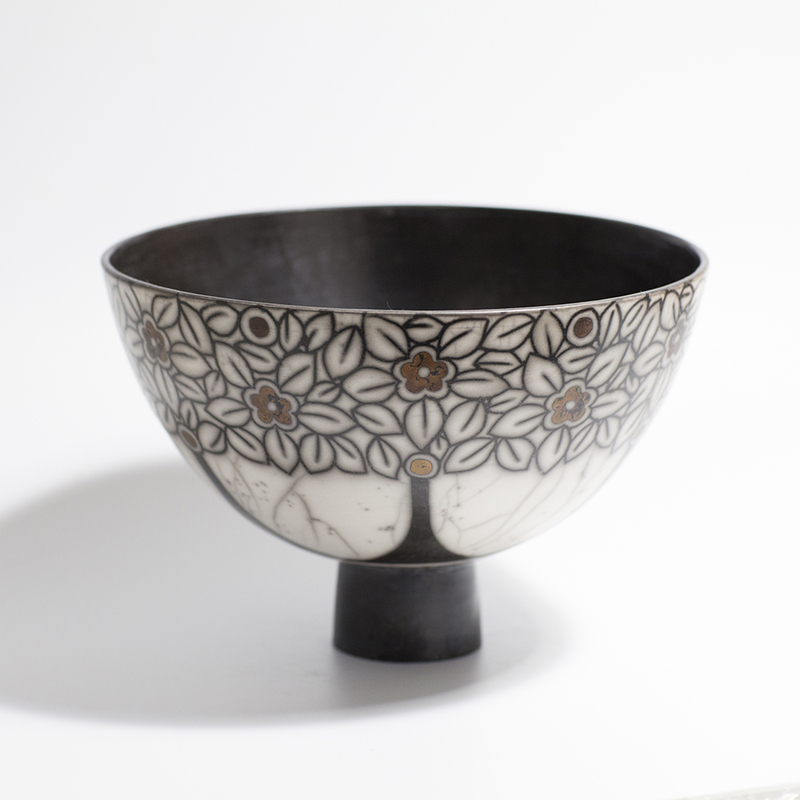 Raku ceramics date from 16th century Japan. As part of the tea ceremony tea bowls were simply made using this fast-firing technique.